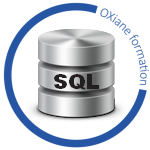 It is designed in such a way that the first two days can be taught as a course to students requiring the knowledge for other courses in the SQL Server curriculum. This module is not needed for most applications, so it will only be thaught when specifically requested. oumettre des requêtes en interactif et interpréter les résultats.